Try out this lovely light, & refreshing easily absorbed fluid, ideal for a weekend away too. This light moisturiser with its extracts of anthyllis and witch hazel refreshes and invigorates the skin, making it ideal for normal, dull, dry or mature skin. It activates the skin's natural moisturising process and regulates the oil content. It sounds strange to use a light lotion such as this for dry skin but it is working to bring the skin back into balance and solve the problem of dryness and is very effective. Try it and see for yourself. It can be stimulating and is therefore not recommended for couperose conditions. Did you want to buy the Extra Value 100ml Bottle or a the Handy Sized 30ml bottle? 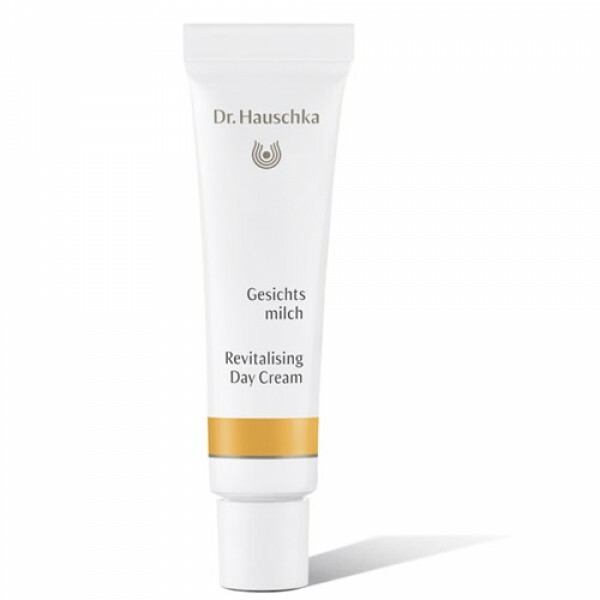 Revitalising Day Cream is the new name for Dr Hauschka Moisturising Day Cream the formulation is the same even though the packaging has changed.